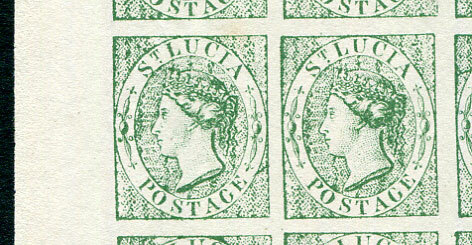 Litho forgery of the 1863 QV (6d) green in pale greyish-green in a fine unused without gum unwatermarked sheet of 20 stamps, position 13 without constant diagonal line plate flaw at right (as found on similar sheets) and the last three stamps of each of rows 2, 3, and 4 moved upwards. 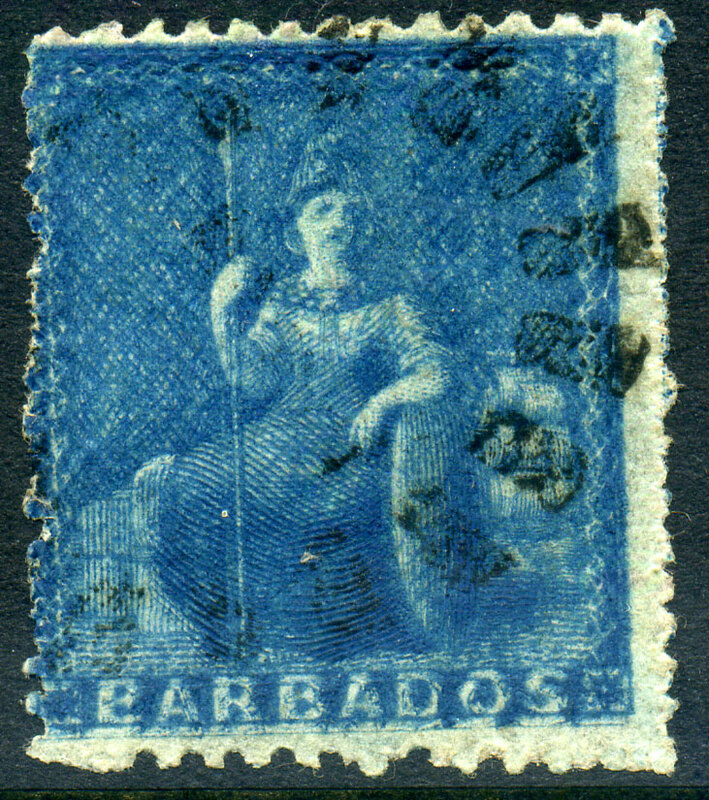 Litho forgery of the 1863 QV (4d) blue in a fine unused without gum unwatermarked sheet of 20 stamps, position 13 with constant diagonal line plate flaw at right. 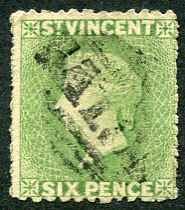 Litho forgery of the 1863 QV (6d) green in a fine unused without gum unwatermarked sheet of 20 stamps, position 13 with constant diagonal line plate flaw at right. 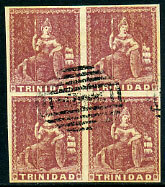 Litho forgery of the 1863 QV (1d) lake in brown-lake in a fine unused without gum unwatermarked sheet of 20 stamps, position 13 with constant diagonal line plate flaw at right. 1940 British South Africa Golden Jubilee ½d (SG.53), the central vignette only unmounted mint, with security punch holes mounted on presentation card (100 x 115mm) headed "WATERLOW & SONS LTD/Progressive proof", superbly fresh. 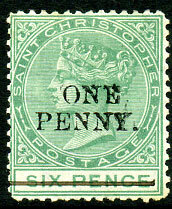 1861 QV 6d deep yellow-green (SG.2, Cat.£200), very fine lightly postmarked copy. 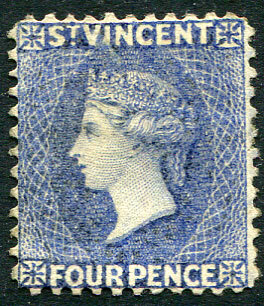 1883-84 QV 4d grey-blue Crown CA normal wmk P.12 (SG.43a, Cat.£2250), mounted mint part gum with lovely colour and appearance, light horizontal crease. 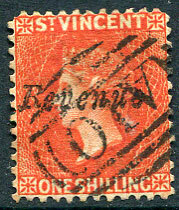 1883 QV 1/- vermilion ovp'd "Revenue" P.12 Crown CA REVERSED wmk (PML.13), fine used with forged "A10" postmark. 1,800 issued (60 sheets, PML Page 147), "R" with "dancing shoes" as opposed to "feet firmly on floor". 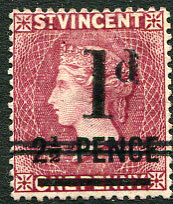 1886 1d.. vermilion on QV 1d rose-lilac Crown CA REVERSED wmk (PML.24), fine used manuscript dated "1.7.86". 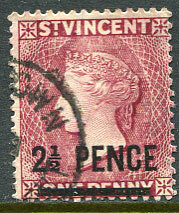 1887 QV 1d rose Crown CA INVERTED wmk (SG.22w, Cat.£200), fine used with partial vertical "A07" cancel. 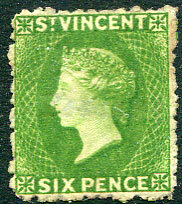 1880 6d bright green (SG.30, Cat.£475), mounted mint, trace of light vertical crease found only when held obliquely to the light. 1866 QV 1/- slate-grey P.14 to 16 (SG.9, Cat.£375), fresh large part original gum. 1870 DLR QV 1d STAMP DUTY Crown CA watermark twice pmk'd vertical "A02". 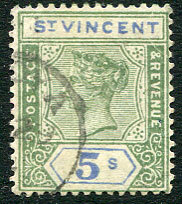 1899 QV 5/- green & blue (SG.75, Cat.£170 used), a forgery believed to have been cleverly executed by the Belgian forger Smeets by bleaching out the design of used copies of the 1886 Ceylon QV 5c dull purple (SG.195) to a give a "blank" CA wmk P.14 stamp; only immediately given away by the indelible ink portion of a DICKOYA (Ceylon) cds which could not be removed. 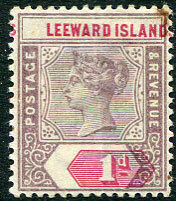 1882 QV 2½d on 1d lake Crown CA REVERSED wmk (SG.40x), a very fine unmounted mint block of four. Cat.£168+. 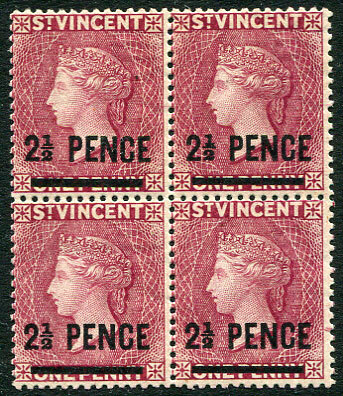 QV 2/- Venetian red MCA wmk P.14 (SG.55), a very fine used block of four manuscript dated "22/10/6" with top right stamp showing previously unrecorded tilted "IAL" in "JUDICIAL". 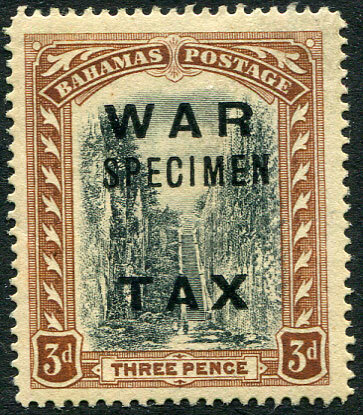 1919 3d WAR TAX (SG.105), fine lightly mounted mint with rare combination "rifleman" and "half extra-treetrunk" varieties ovp'd "SPECIMEN". 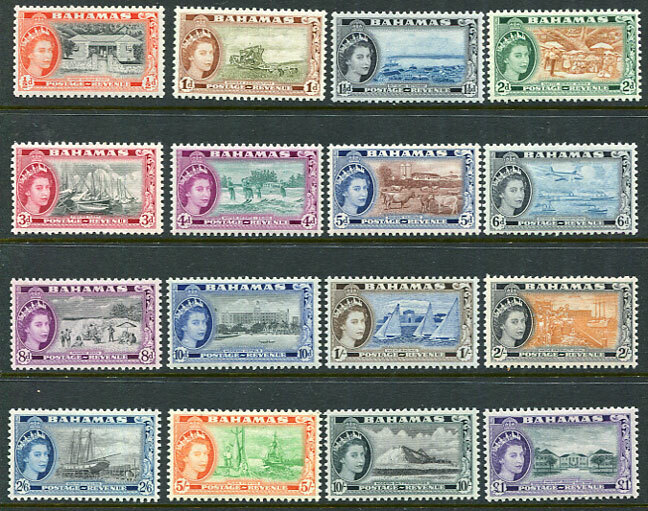 1954 QE2 definitives (SG.201/216, Cat.£100), the set of 16v fresh lightly mounted mint. 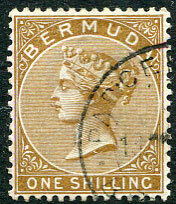 1893 QV 1/- yellow-brown (SG.29, Cat.£24), very fine used with part PARCEL POST cancel. 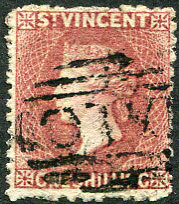 1883 QV 2½d on 1d lake Crown CA INVERTED wmk (SG.40w), fine used. 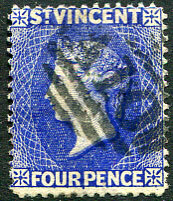 1877 QV 4d deep blue (SG.25, Cat.£550), a beautiful lightly mounted mint copy with fresh colour and being exceptionally well-centred for this issue, sideways small star wmk. 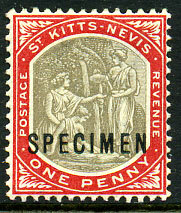 1902 1d Medicinal Spring (SG.2), fine mounted mint ovp'd "SPECIMEN". 1886 "ONE/PENNY." 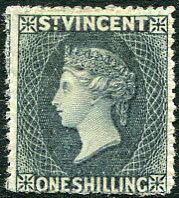 on QV 6d green (SG.24, Cat.£20), fine mounted mint. 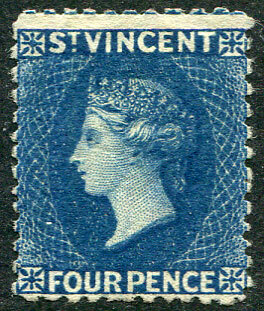 1882 QV 4d ultramarine Crown CA wmk P.14 (SG.41, Cat.£75), fine appearance used, shallow thinning. 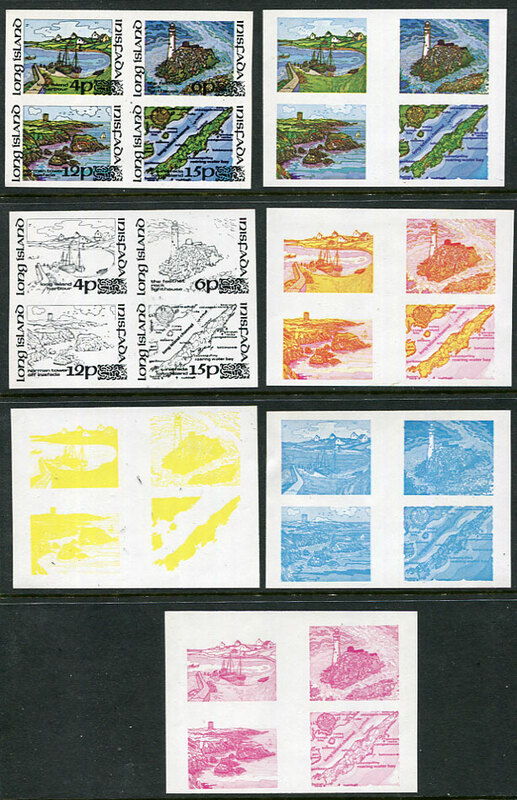 PROGRESSIVE PROOFS in unmounted mint blocks of four (7) of the 1973 set of four local stamps depicting Cottages Midland Harbour, Map of the Island, nearby scenes of Leamcon Castle and Fastnet Lighthouse, only 8 sets exist. 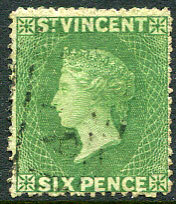 1877 QV 6d pale green (SG.23, Cat.£50), fine used pmk'd black horiz. "A10". 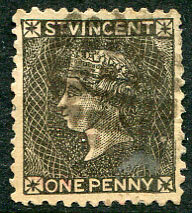 Forgery of the fat-face QV 1d black (PML Type D) used, some smaller faults. 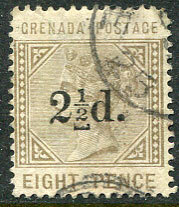 1891 "2½d" on QV 8d grey-brown (SG.47), used with raised quad variety, blunt corner perf. 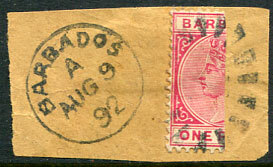 1893 QV 2½d on 1d (SG.55a), fine used with "scratch on Queen's cheek" plate variety. 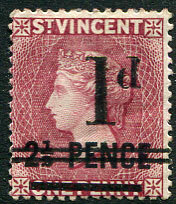 (PML.4) on 1872 1/- deep rose-red (pale shade, SG.17, Cat.£140), fine used. 1885 QV 1d on 2½d on 1d Crown CA REVERSED wmk (SG.46x), mounted mint with "scratch on cheek" plate variety, light diagonal bend/crease. 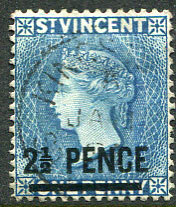 1901 10c rose and diagonally bisected 25c ultramarine (Scott 169, 171) tied to dated piece, Scott unlisted. 1868-69 5c green (Scott 10, 9 stars) bisected on piece and tied cork cancel, Scott unlisted. 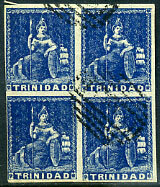 1885 1d on 2½d on 1d (SG.46), fine mounted mint with prominent "scratch on Queen's cheek" plate variety (12,060 stamps overprinted on sheets of 60 making only 201 varieties originally available). 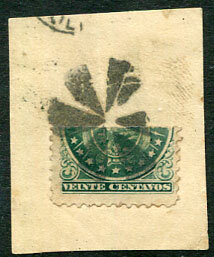 1890 QV 1d Keyplate (SG.2) with MAJOR SHIFT OF DUTY PLATE mounted mint, vertical crease (not too prominent), and tone spot top left corner, an extremely rare striking error missing from most collections. Rarely available DOUBLE IMPRESSION on 1861 (1d) deep blue (SG.24), fine used. 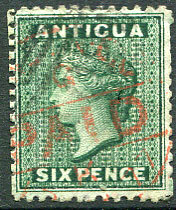 1872 QV 6d blue-green INVERTED and REVERSED Crown CC watermark (SG.15y, Cat.£140), used showing green coloured dot in "N" of PENCE additionally cancelled red LONDON PAID thought for 12 JA 77 arrival, some slightly clipped perfs top right. 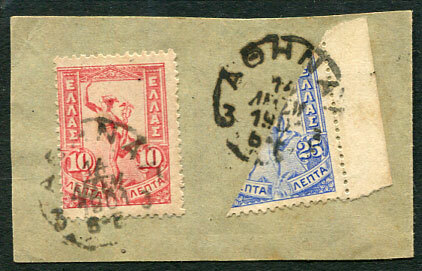 1902-03 stamp-size master Die Proof on thick card for the KE7 5/- denomination with uncleared surrounds and country tablet as used for all three islands. Forgery of the 1945-52 KG6 $3.00 water-lilies, fine unused without gum, handstamped on reverse. 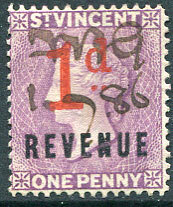 Panelli type forgery of the 1876-79 QV 1d in lilac-mauve with impressed Crown CC wmk, usual brownish gum. 1862 QV 1/- buff No wmk (SG.52), fresh lightly mounted mint IMPRIMATUR horiz. pair showing part marginal inscription. 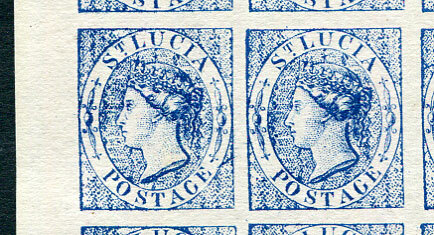 Spiro Brothers forgery of the 1875 QV 1d blue in a fine used complete sheet of 25 stamps. 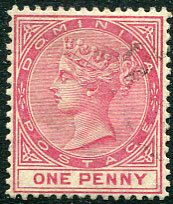 Panelli forgery of the QV 1d rose with impressed Crown CC wmk superb used. 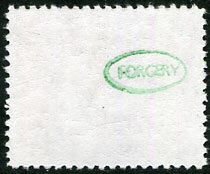 Forgery of the 1907 KE7 £1.00 green & black (SG.70, Cat.£350 normal used) on Crown CA wmk'd paper, lightly used. 1882-86 QV 1d carmine diagonally bisected and tied to piece by forged bootheel duplex dated A/AUG 9 92. 1909-12 3d View MCA wmk, unmounted mint Plate 1 block of ten stamps. 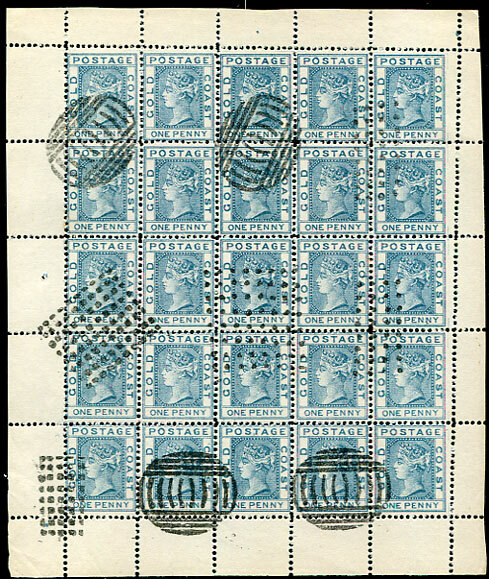 Litho forgery of the undenominated (1d) Britannia design in deep blue/white reverse in an imperforate used block of four stamps, rare in multiple. 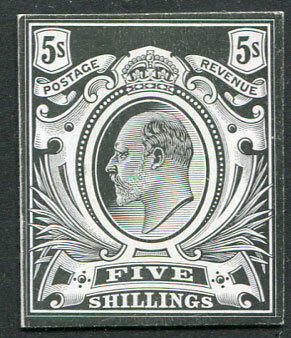 Litho forgery of the undenominated (1d) Britannia design in pale mauve in an imperforate used block of four stamps, rare in multiple. 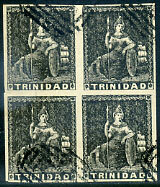 Litho forgery of the undenominated (1d) Britannia design in black in an imperforate used block of four stamps, rare in multiple.